MIDORI SCALP BALANCE CONDITIONER (2) 300ML – HAIRDEPOT - Hair & Scalp Care Products, Prevent Hair Loss, Shampoo, Conditioner, Treatment, Styling, Appliances and more! 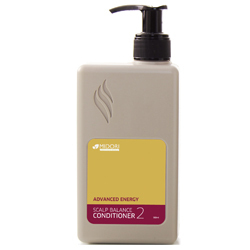 Midori Scalp Balance System 2 Conditioner for color-treated thinning hair. This lightweight conditioner moisturizes, detangles, and strengthens, helps replenish hair and scalp to prevent premature breakage and improve manageability, promotes safeguards hair color with UV filters.